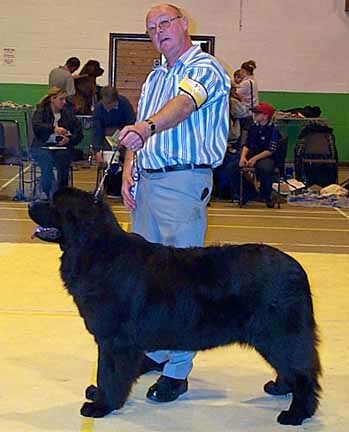 Club Open Show September 2002. Our Judges: Mr. Jeff Luscott and Mr. Jeff Horswell with show manager Gill Barker. 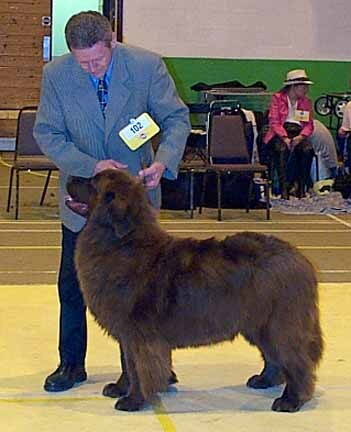 Ms R Kingsley's Bigtop's Dam Buster, D.O.B. 01.10.01. Br Owner. 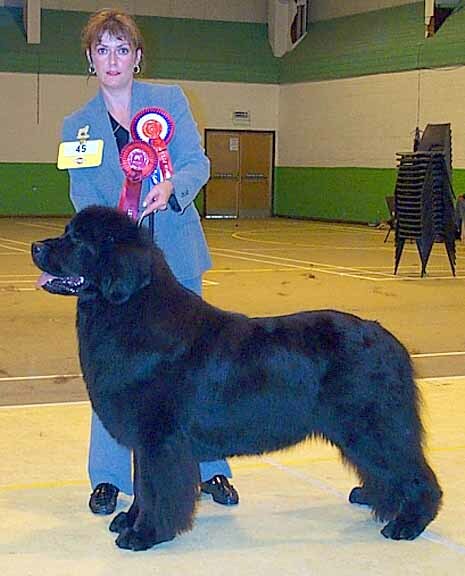 Ch Mayoss Booker - Ch Cannon Bear's Reason to Kill for Topsailar (Imp). Best Puppy Dog. Best Puppy in Show. 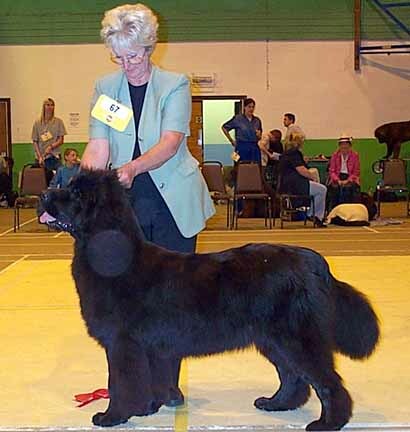 Mr & Mrs Parker's Ch Evanpark Ace Ventura, D.O.B. 01/12/94. 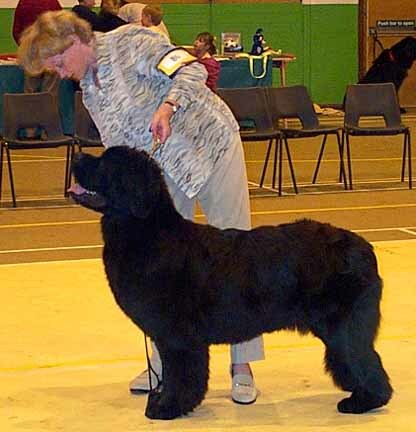 Breeder Exhib. Ch Karazan Loves a Risky Business - Karazan Jessica at Pendella's. Messrs Cutts & Galvin's Merrybear Barry White, D.O.B. 03.04.01. Br Owner. Ch Cayuga Edwuardo for Merrybear (Imp) - Cayuga Primavera for Merrybear (Imp). 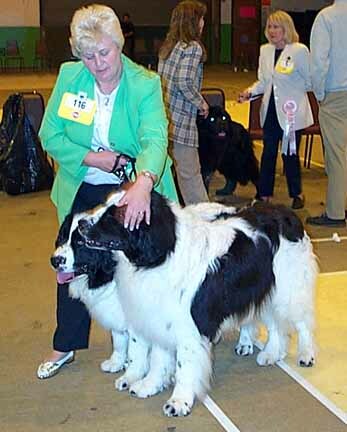 Mr S & Mrs M Cheung's Squamish Obelix of Brinmont (Imp), D.O.B. 14.03.01. Br Justesen & Petersen. 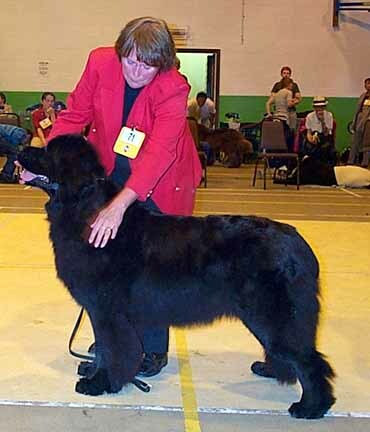 Int Ch Top Bears My Milton - Nord. Ch Squamish Karisma. Mr T J H & Mrs D Richards' Sheridel Kavanagh, D.O.B. 06.04.00. Br Owner. 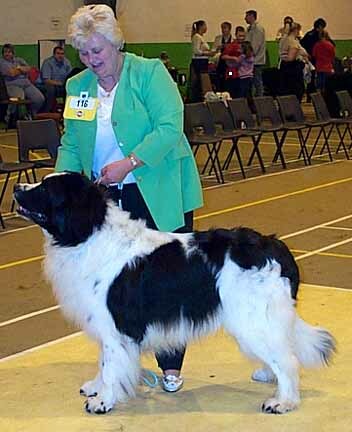 Ch Tremarcol Defender - Sheridel Iumium. 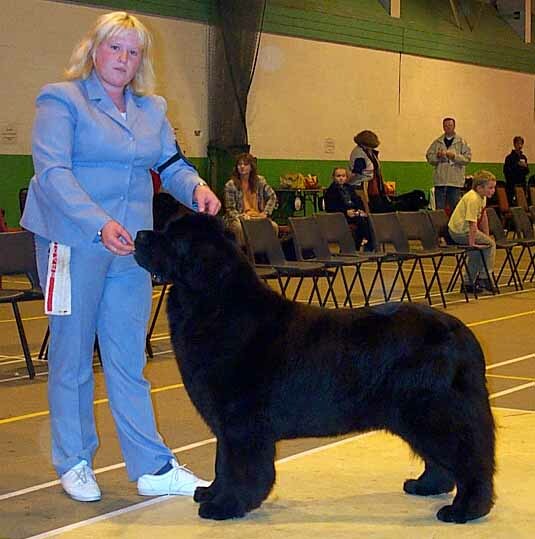 Mrs A Cook & Messrs Cutts & Galvin's Merrybear Versace, D.O.B. 14.07.99. Br Messrs Cutts & Galvin. Ch Cayuga Edwuardo for Merrybear (Imp) - Trinityfair Border Rhapsody for Merrybear. 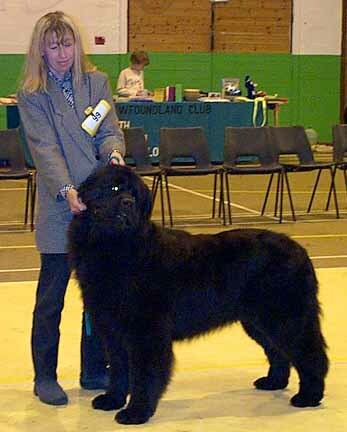 Mr P & Mrs L Ballard's Atlanticbear Luing at Becklebear, D.O.B. 10.05.98. Br Pollock. 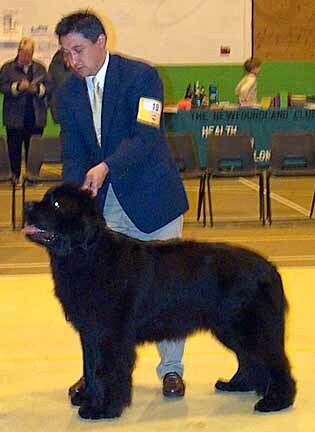 Ch Newfhouse Scandinavian Warrior for Merrybear (Imp) - Merrybear Atlantic Lass. 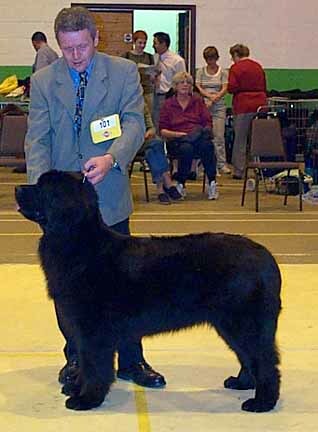 Mr A & Mrs K Farrar's Ch Darkpeak Harrison Stickle, D.O.B. 01.11.97. Br Exhib. 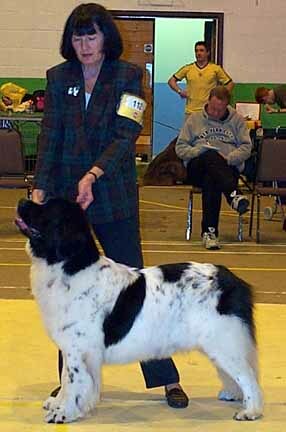 Ch Topsys Offenbach - Sheridel Ione of Darkpeak. Mr. C. & Miss. C Rushton & Hurst's Aarozeen Wonder Boy, D.O.B. 02/10/99. 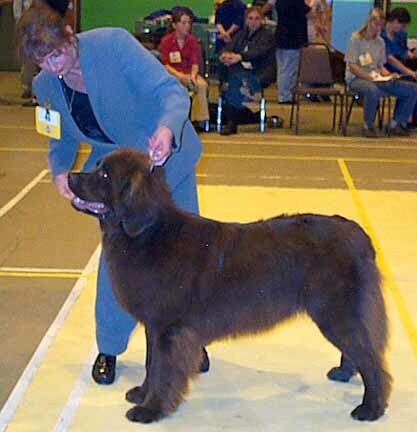 Breeder C. Tooley. Culnor Norsbaldur - Aarozeen Ko-Konie. Mr M & Mrs C Binks' Nordicangel Eugenie, D.O.B. 02.10.01. Br Owner. Culnor Norsebaldur - Angelhouse Anouka at Nordicangel. 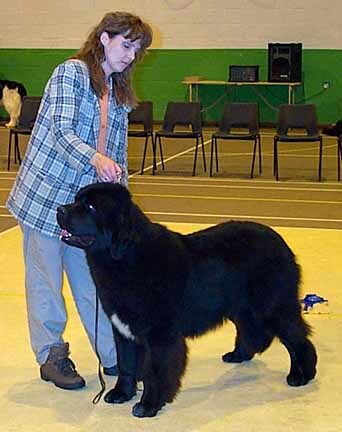 Mr A & Mrs K Farrar's Sheridel Ione of Darkpeak JW, D.O.B. 02.07.94. Br Richards. Beauberry Biggles of Sheridel - Leumasleiloc of Sheridel. Mrs S Lloyd-Denman's Stelamah Edelwiess, D.O.B. 01.08.01. Br Exhib. 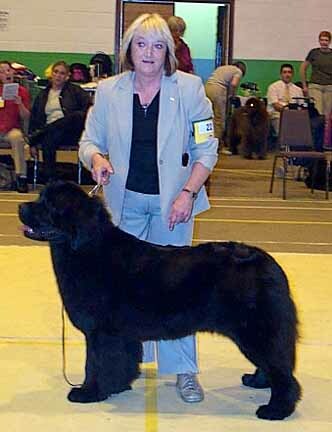 Ch Cayuga Edwuardo for Merrybear - stelamah Wish Upon a Star. Mr B & Mrs D Carr's Sauvtage Sea Wytch, D.O.B. 10.08.01. Br Owner. Gypsysprings Francesco - Sauvtage The Dark Lady. Mr A & Mrs K Farrar's Darkpeak Penny Dreamweaver, D.O.B. 23.11.00. Br Owner. 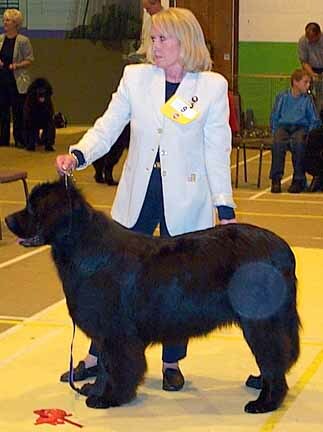 Ch Newfuurlands Russell Newbery Nutbrook - Darkpeak Fionuala of Lir JW. Mr R & Mrs W Lowe's Powerhouse Africa, D.O.B. 18.01.00. Br Exhib. Cayuga Giovanni for Merrybear - Powerhouse Ashleigh. Mr D & Mrs M Cole's Powerhouse Charisma, D.O.B. 18.01.00. Br Mr R & Mrs W Lowe. Cayuga Giovanni for Merrybear - Powerhouse Ashleigh. Mr T J H & Mrs D Richards' Sheridel Kyo, D.O.B. 06.04.00. Br Owner. 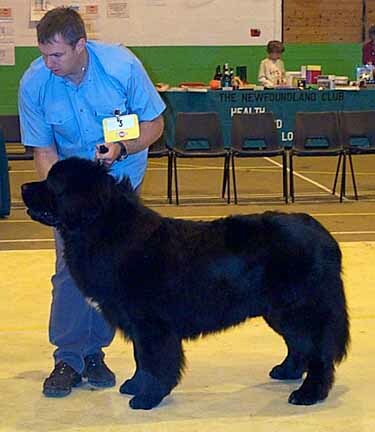 Ch Tremarcol Defender - Sheridel Iumium. 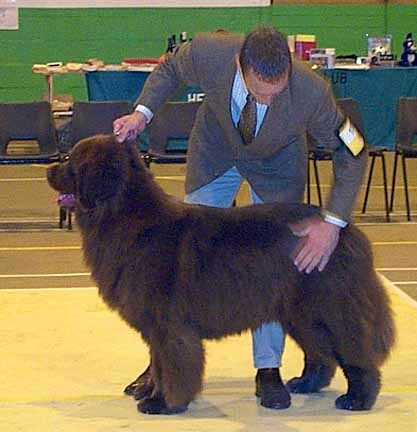 Mr G Cutts & Mr P Galvin's Ch Merrybear Whitney Houston, D.O.B. 15.11.99. Br Owner. 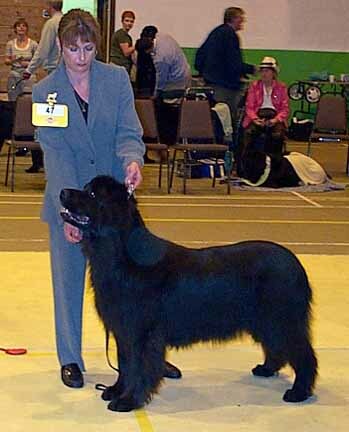 Ch Cayuga Edwuardo for Merrybear - Ch Seasoar Prima Donna of Merrybear. 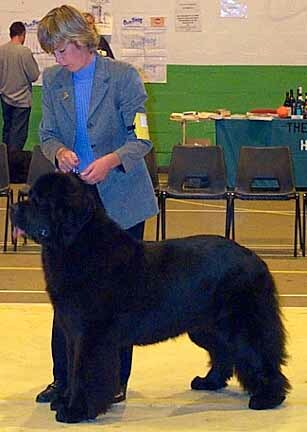 Mrs A Springthorpe's Ch Wanitopa Once In A Blue Moon at Millthorpe JW, D.O.B. 16.08.99. Br Mrs J Leicester-Hope. Joalta Silver Skydragon - Ch Wanitopa Madam Butterfly.